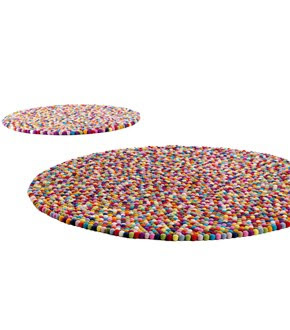 ﻿Named after a Danish candy – colourful, sugarcoated licorice balls – Pinocchio is a carpet from HAY that makes you smile. Carpet collection is handmade in Nepal. Every single ball is felted by hand and afterwards put on a string like pearls. 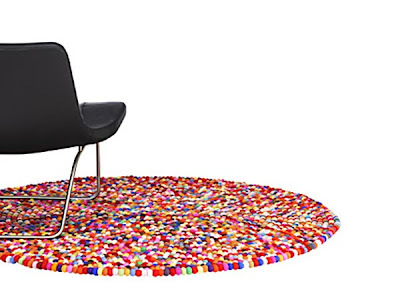 I love these colourful carpets! What do you think? Thanks for the tip Guillermo! I will add this soon! I love it!! Trying to find one on the internet!